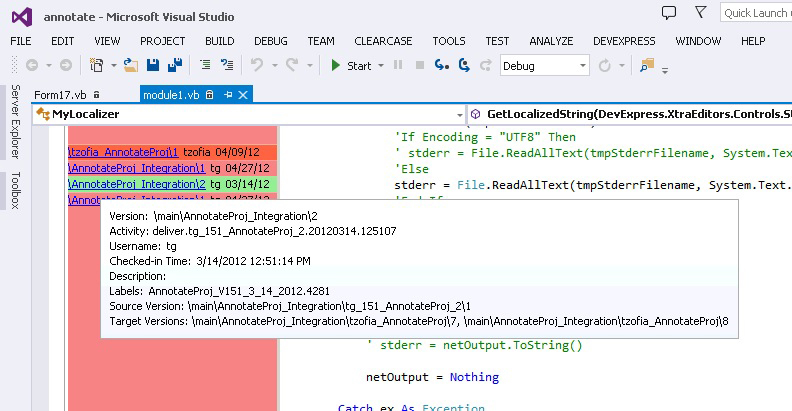 Visually track your code line history from within Visual Studio! 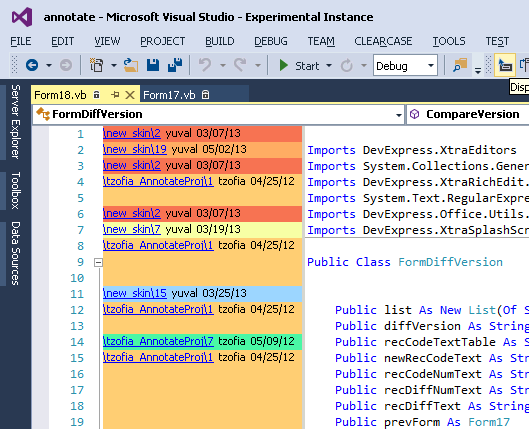 The extension is seamlessly integrated with ClearCase and Visual Studio. Installation takes only 1 minute! See annotated data on the left panel Get important information on the tooltip Get the real change! After you download the package, Simply extract ZIP file and click on the relevant VSIX file, and then follow the instructions. 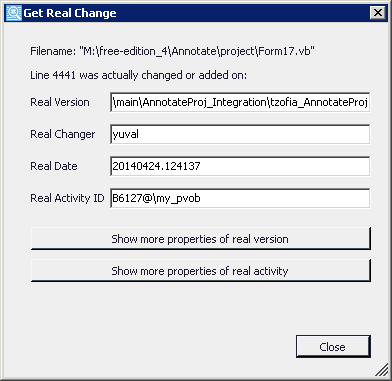 The extension will be installed into your Visual Studio editor. Click here to learn how to get started..